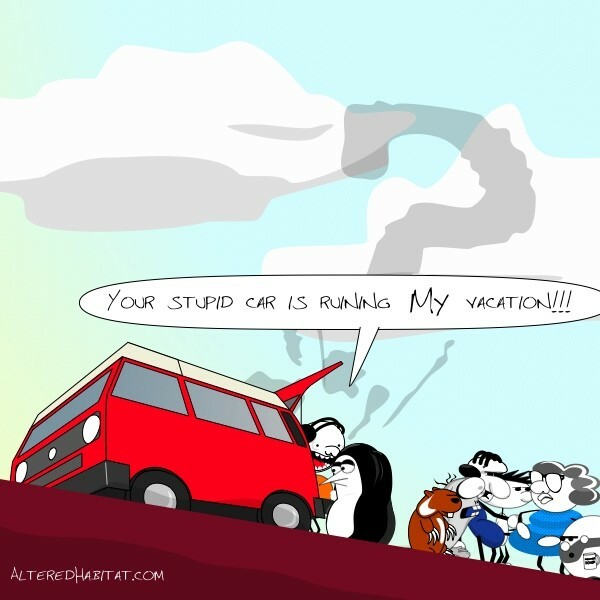 Walking together, Bruce the no vegan zombie and Penguin have a conversation. 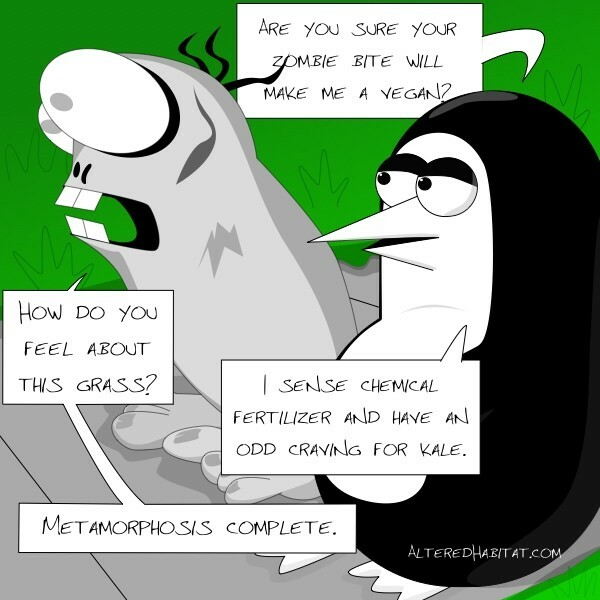 Bruce the no vegan zombie, “How do you feel about this grass? 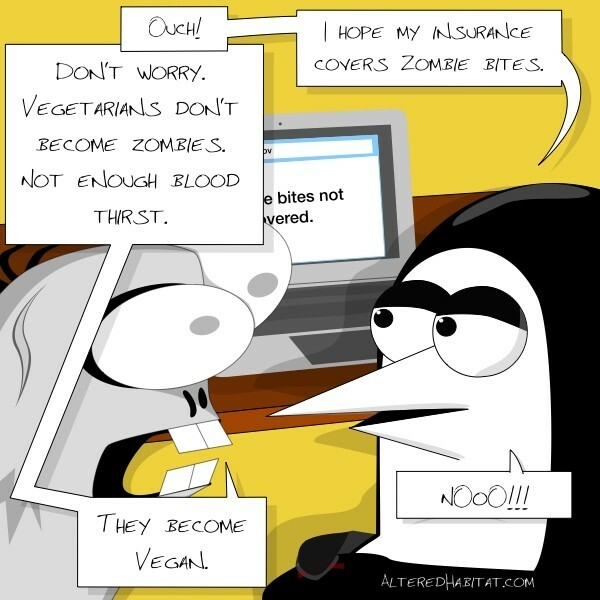 After being bitten by Bruce the no vegan zombie, Penguin faces a fear; zombie bites not being covered by his health insurance. 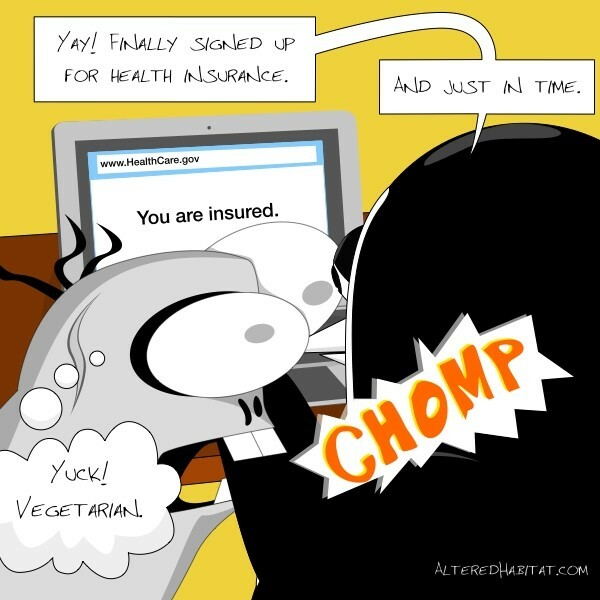 After signing up for health insurance, Penguin faces an immediate health concern.